Happy Pink and Green Thursday! How is your week? It's been busy here with lots of activities for Valentine's Day and the Grand Opening party last night at Vineyard Vines. Today I'm joining my sweet friend Trish for this week's installment of Pink and Green Thursday. I recently re-decorated and re-organized the minnies' room with some fun goodies from Garnet Hill and thought that you might enjoy some pink and green decorating ideas for bedrooms. This pink closet reminds me of something that Carrie Bradshaw's character would have. Isn't it divine? Luckily I had girls because so I can surround myself with pink! And luckily my girly-girls have always loved their pink and green, even as babies. Some little girls want the tulle fairy netting above their beds...my minnies want the beach cabana. Such little preppies! Although this Lilly Pulitzer bedding from Garnet Hill is no longer available online, it remains one of my favorites. 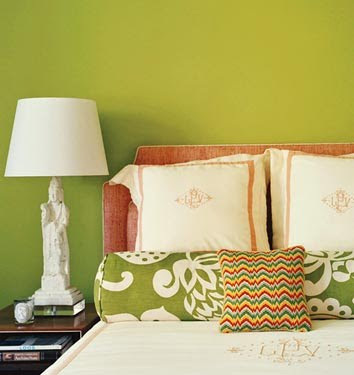 Can I just tell you how much I adore Jonathan Adler? This Adler designed pink gingham kids' room is a dream! All of those images are adorable. I agree I would die for that closet! love the closet- tdf! I have a pink bathroom- makes me smile every time I see the color and is so something that I can only get away with now since it's just me and not the fleet of boys I think I'm going to give birth to one of these days! I love the closet!!! Thanks for the inspiration! I am working on the design for my new closet and need all the ideas I can get! That closet is TDF! I cannot wait until I can decorate my house!! I die over that closet.... sigh. 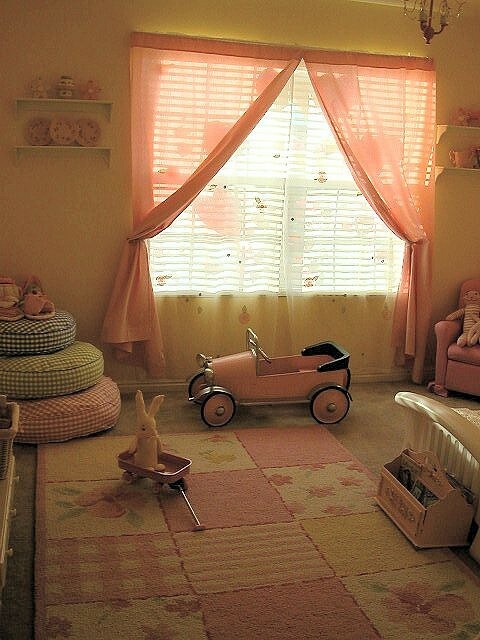 And those rooms are a little girl's dream come true!